What the company does: Instruction in kickboxing, cross training and yoga for adults and kids. 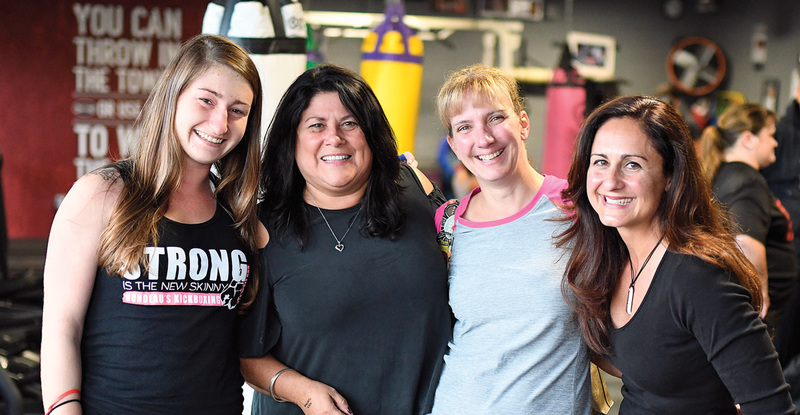 Teaching people to feel empowered is what has motivated professional kickboxer Christina Rondeau for twenty-seven years. It’s important that students not only feel fit as they learn the art of kickboxing, she says, but that they also know they can protect themselves. “Our passion is making sure you are not a victim and have the confidence that comes along with being fit and learning real kickboxing and self defense,” Rondeau tells students who come to her studio. Rondeau launched “Knockout Wishes,” which offers free self-defense classes to women in homes that shelter victims of domestic violence. Knockout Wishes has also fundraised to grant the wishes of people with serious medical issues. In addition, each Rondeau employee is asked to donate three hours a month of their time to a cause of their choice. Knockout Wishes is a spinoff of Rondeau’s Fight Like a Girl and Fight Like a Dad fundraisers. Rondeau has written several books, including Hit It, The Elements of Staying Safe and Power Parent. She began kickboxing as a hobby. She has a fifth-degree black belt in karate and is a member of the Martial Arts Hall of Fame.